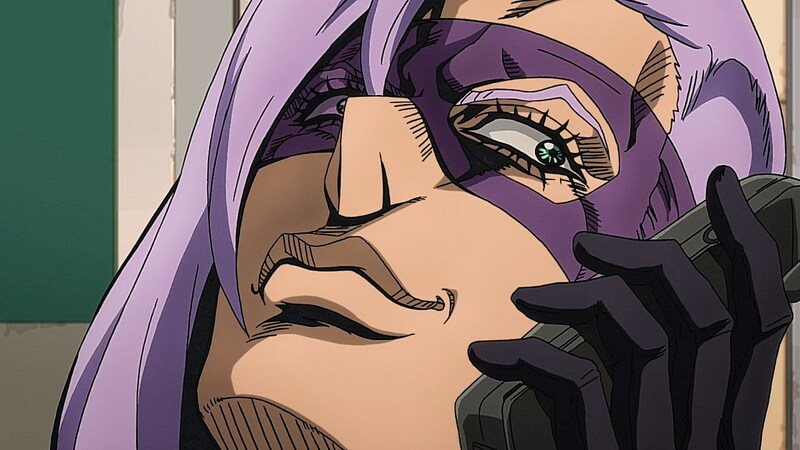 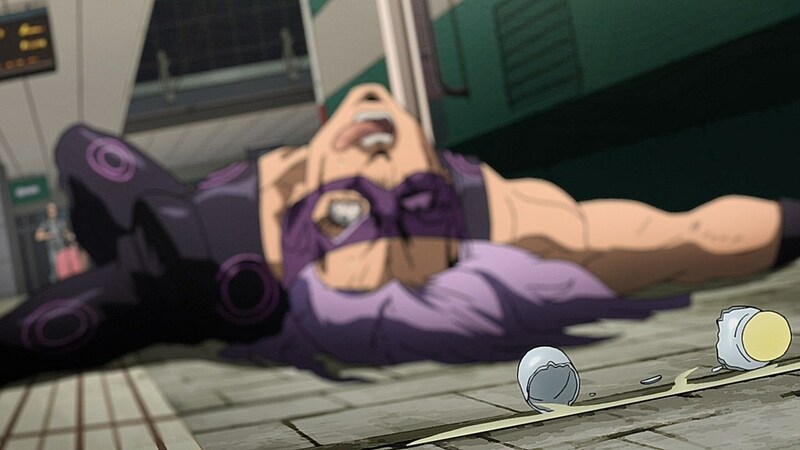 This episode turns the page as the tale of Melone comes to an end. 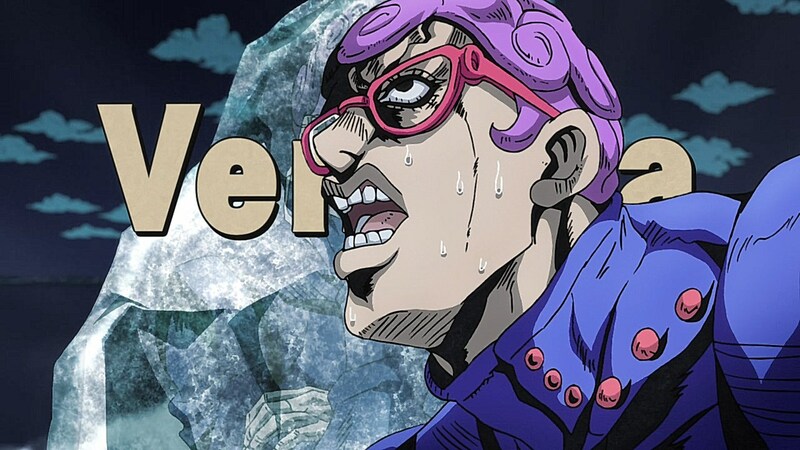 While Giorno made quick work of Melone as his stand powers were all too easy for him to manipulate with Gold Experience, he can’t quite use the same strategy for their new opponent, Ghiaccio. 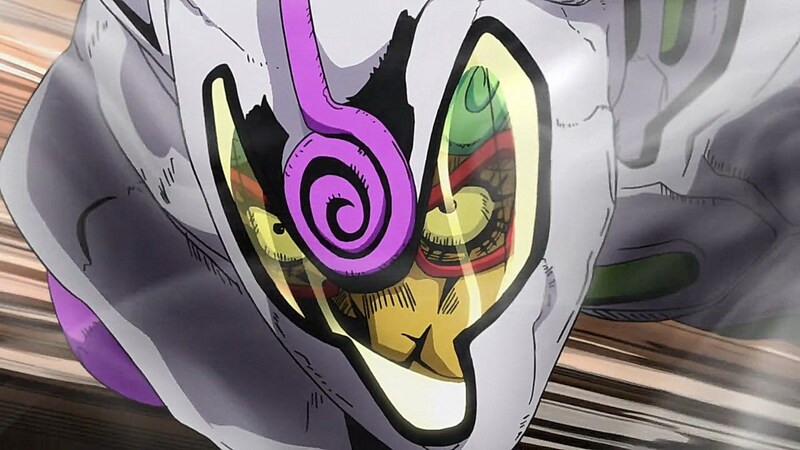 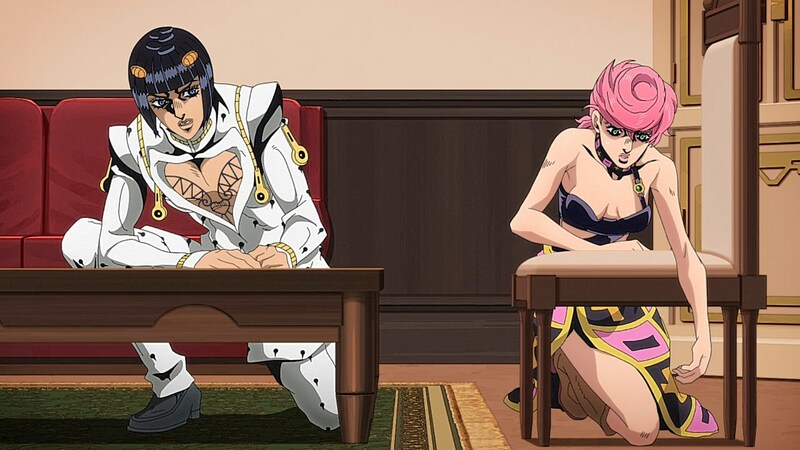 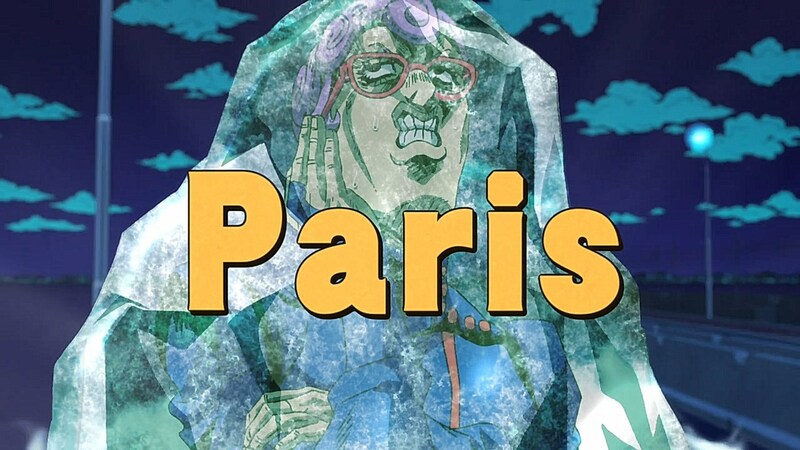 Unlike the last match, this one will prove to be a game of wits as Mista and Giorno have to brainstorm to find a way out of being frozen solid by Ghiaccio’s White Album. 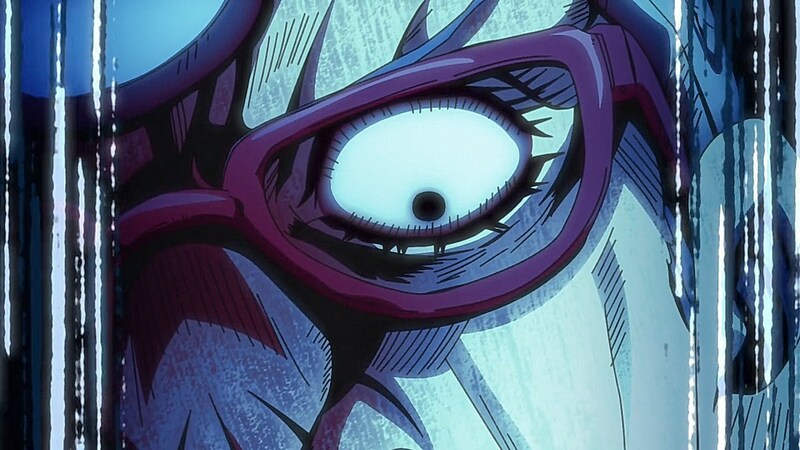 While Melone’s defining trait is taking perverse delight in seeking out the right mother for Baby Face, Ghiaccio fills his time by finding things to get angry about. 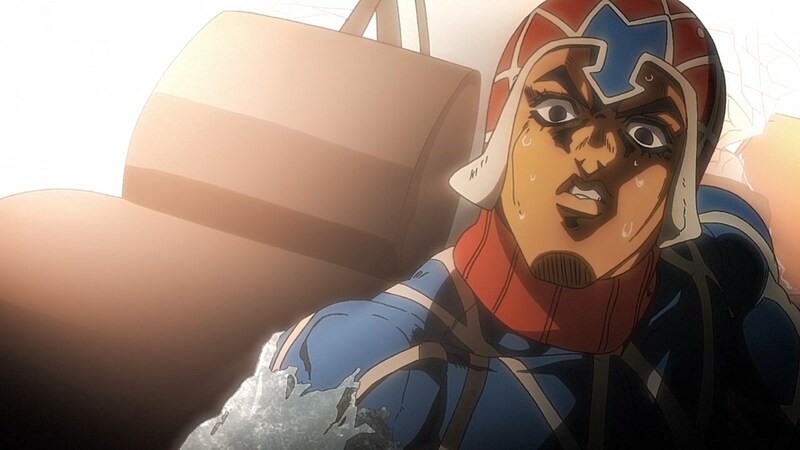 Idioms and language-based inconveniences end up going from mildly infuriating to absolutely infuriating as he takes time out of a battle to grow livid about the shower thoughts that bother him. 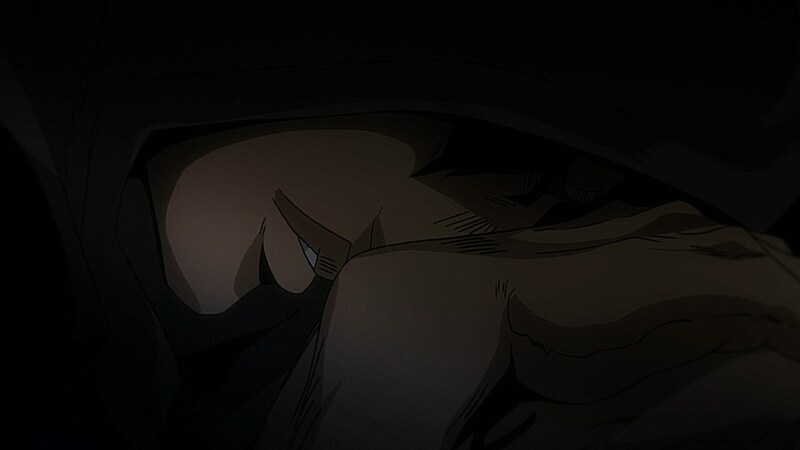 Having him screech out his lines through the voice of Okamoto Nobuhiko, the same actor who gave Accelerator his throat-destroying laugh and Bakugo his “SHI NE!”, was an ingenious casting decision. 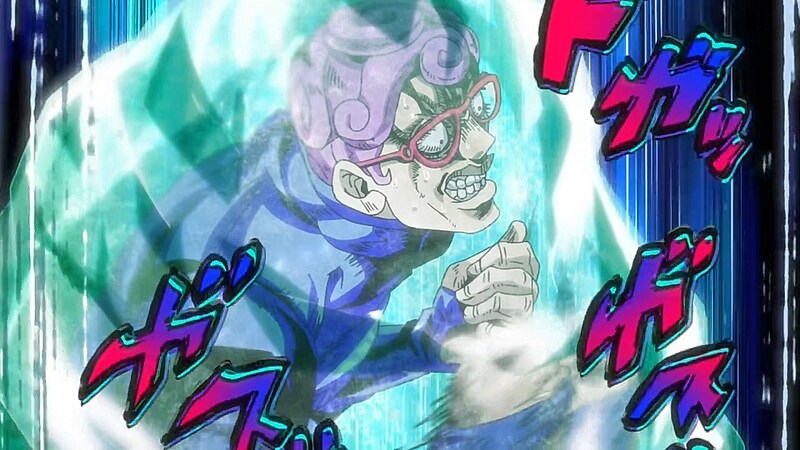 It was cool to hear him earlier around the Formaggio fight, but to see his take on Ghiaccio in action was awesome to see as his trademark shouting does justice to the character’s outbursts and temper tantrums. 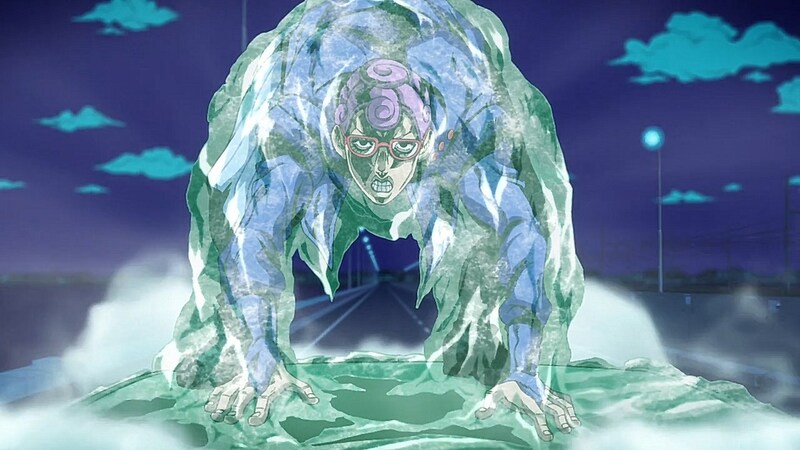 Ghiaccio is also impressive as a formidable opponent to face off against Giorno and Mista. 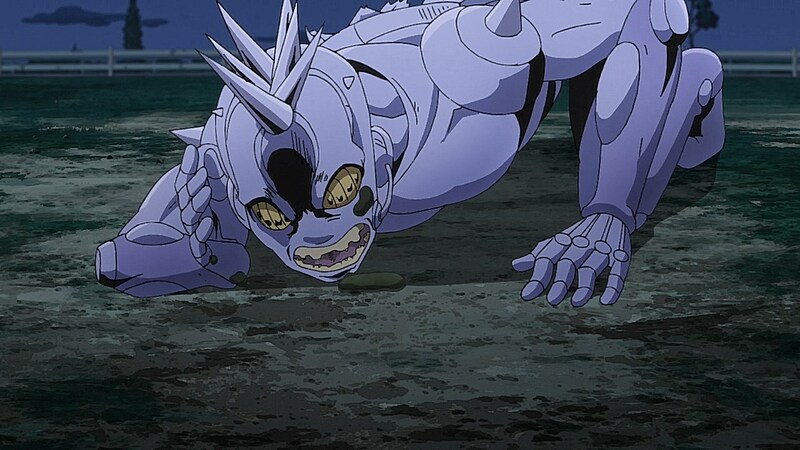 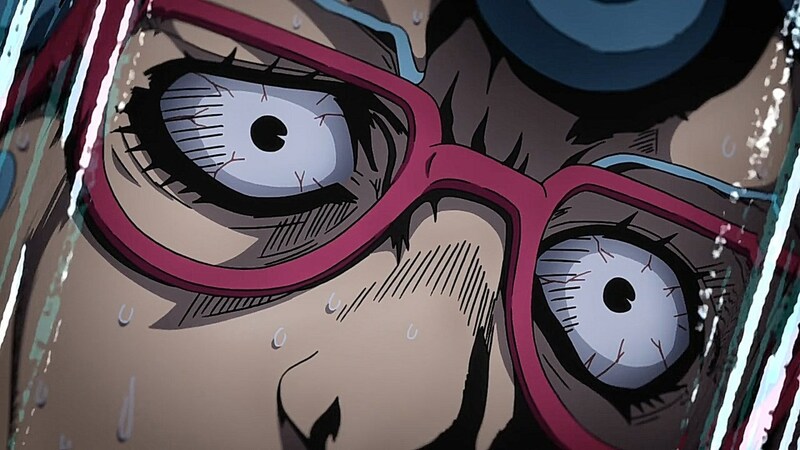 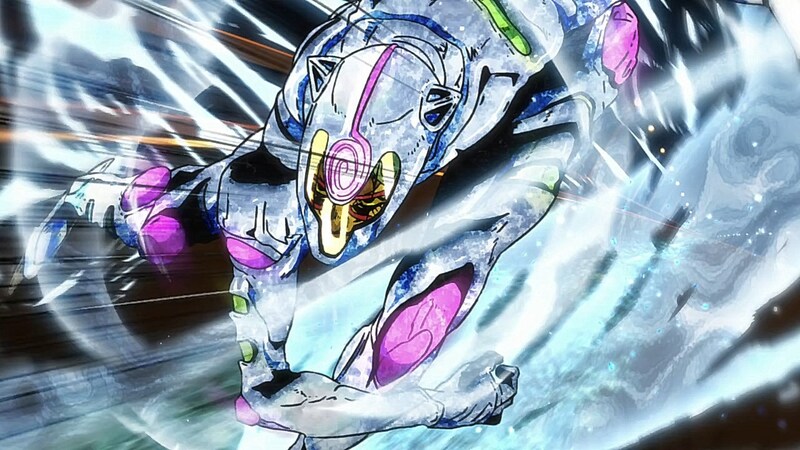 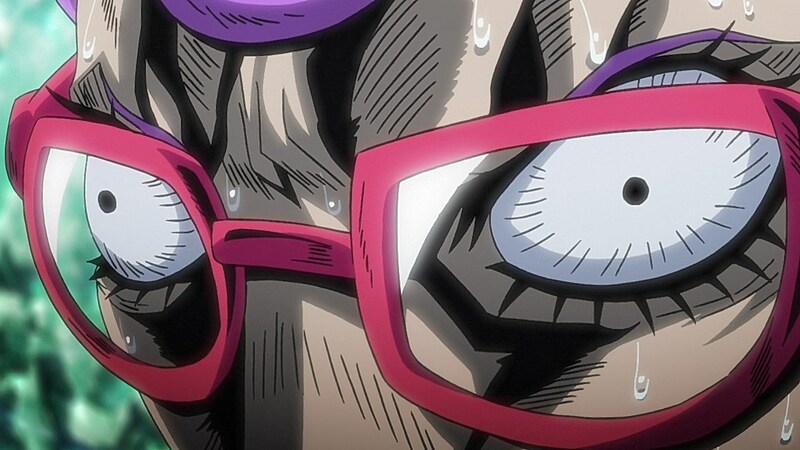 Even with the two working together, Ghiaccio proves to be a fearsome adversary through his power to gradually freeze his surroundings with White Album. 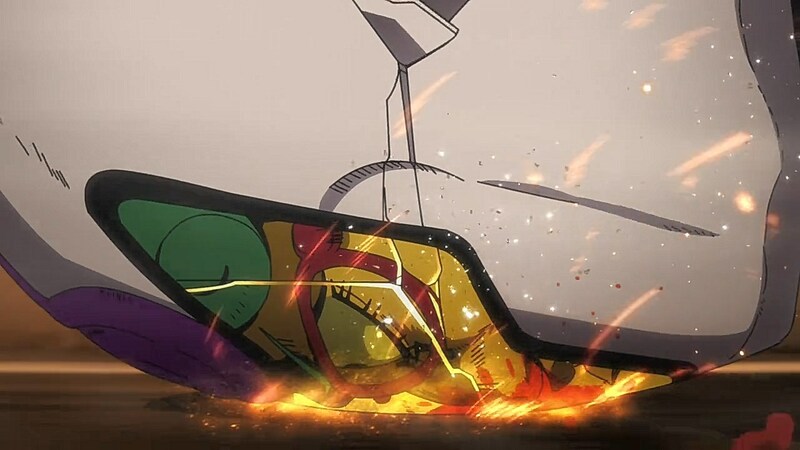 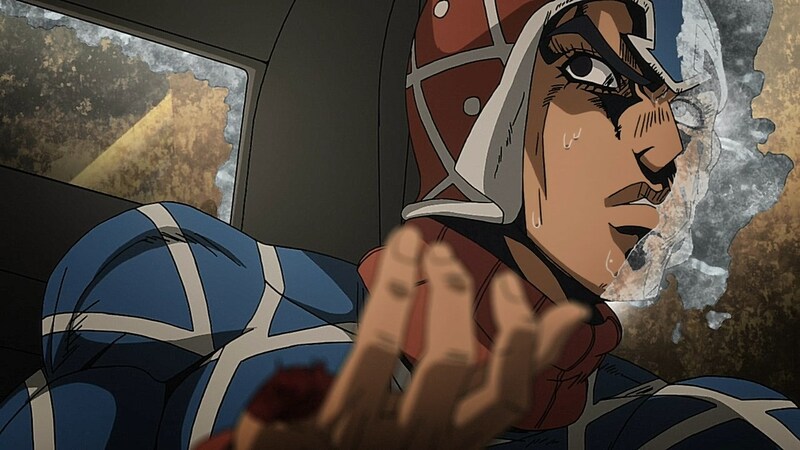 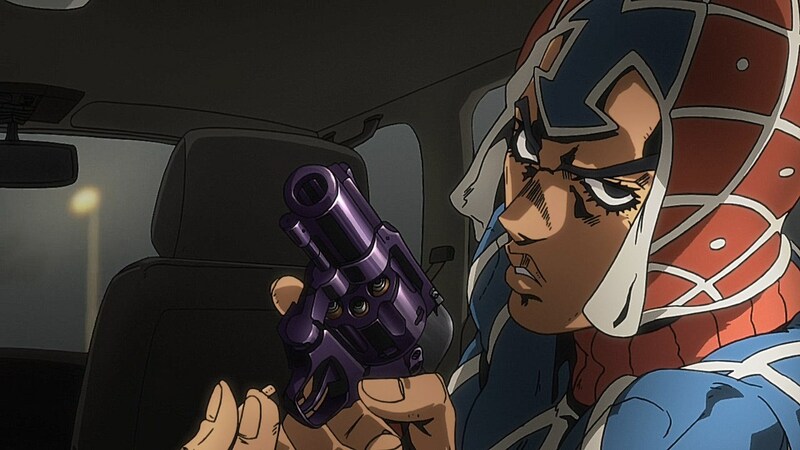 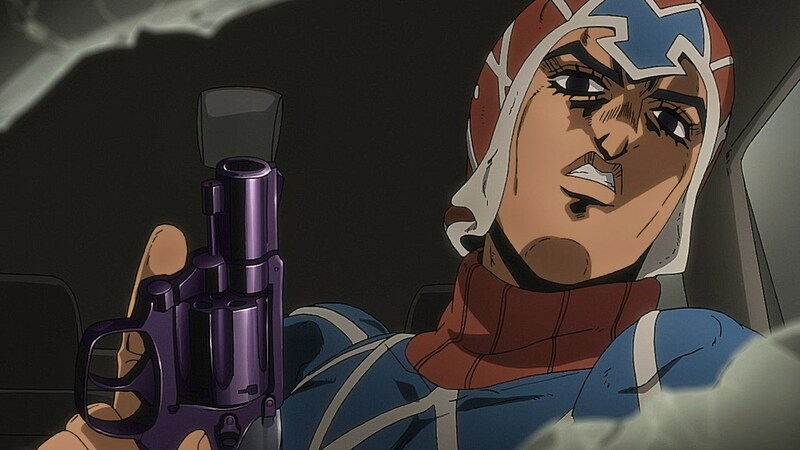 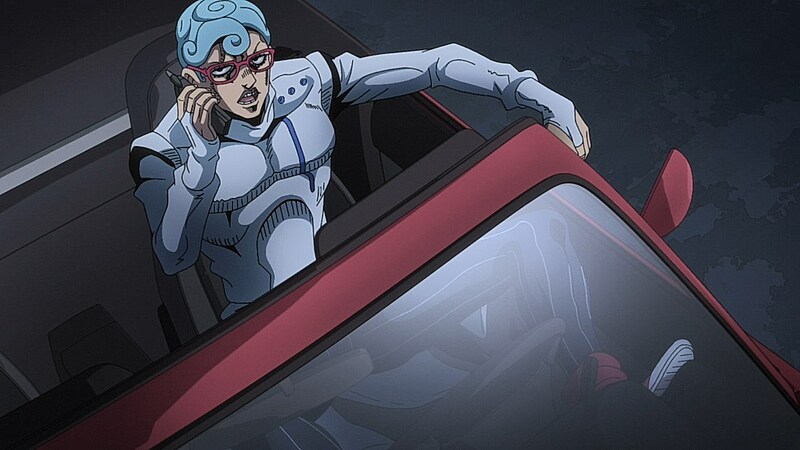 The strategy it took for them to get out of his initial attack was quite the nail-biter with Giorno and Mista scrambling around to try to find a way to launch him off of the car before they freeze to death or before Mista loses any more body parts to frostbite. 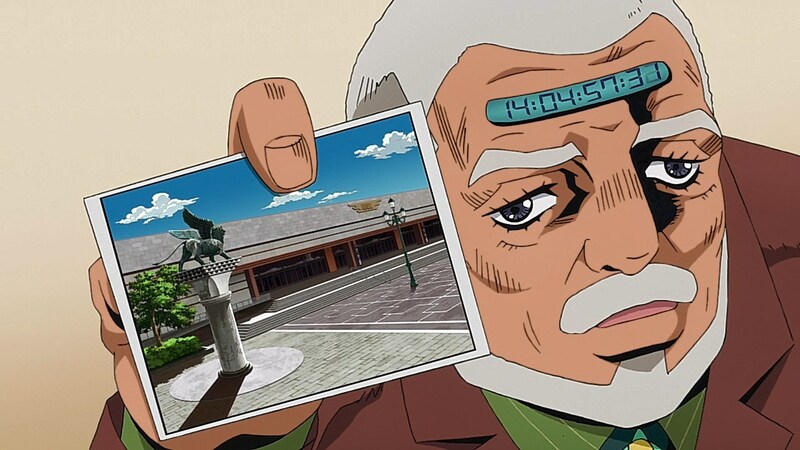 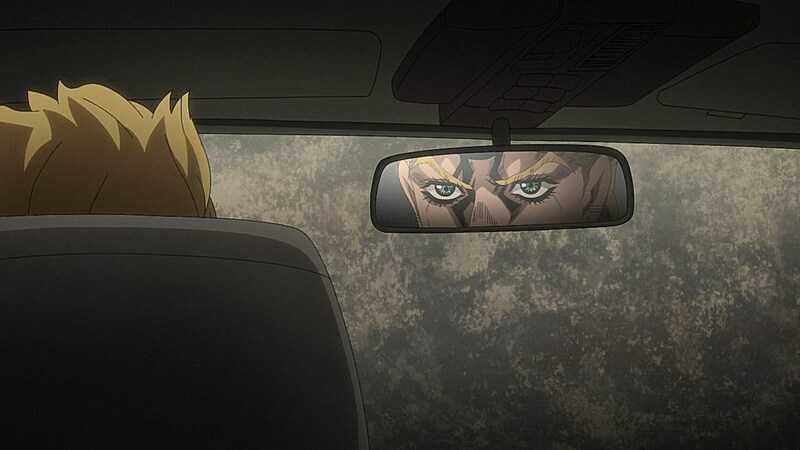 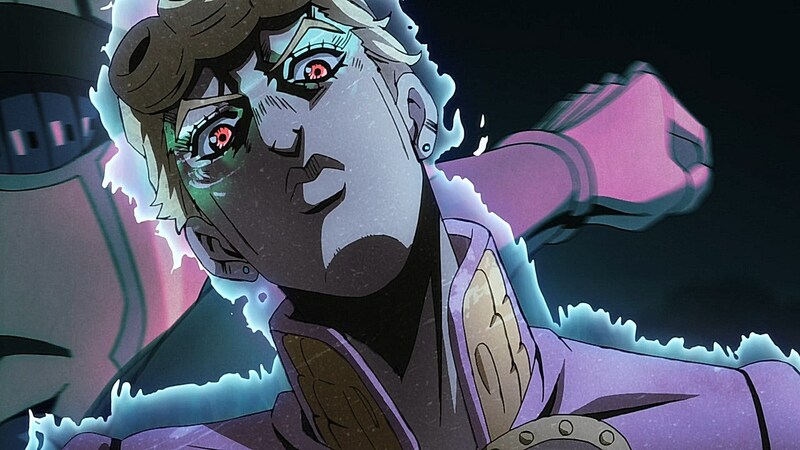 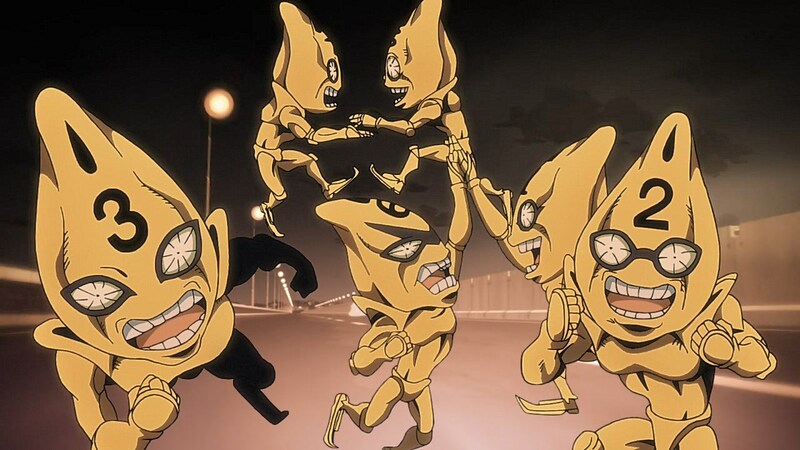 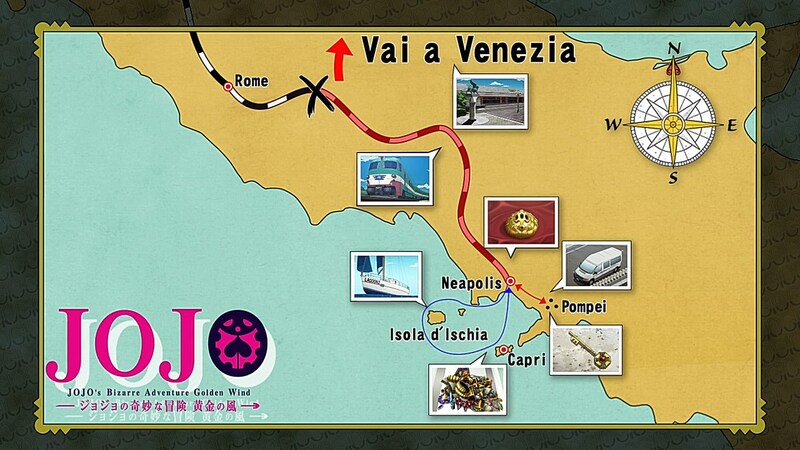 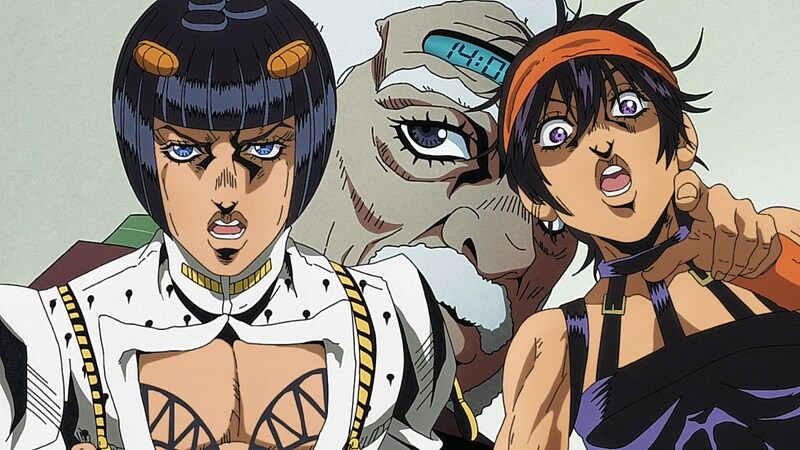 The episode ends with Giorno deciding to use his limited driving experience to send the car careening into the Venice canal, but we do get a deeper look on what the future will look like with Risotto and the Boss preparing to meet at a crossroads with Bruno’s squad. 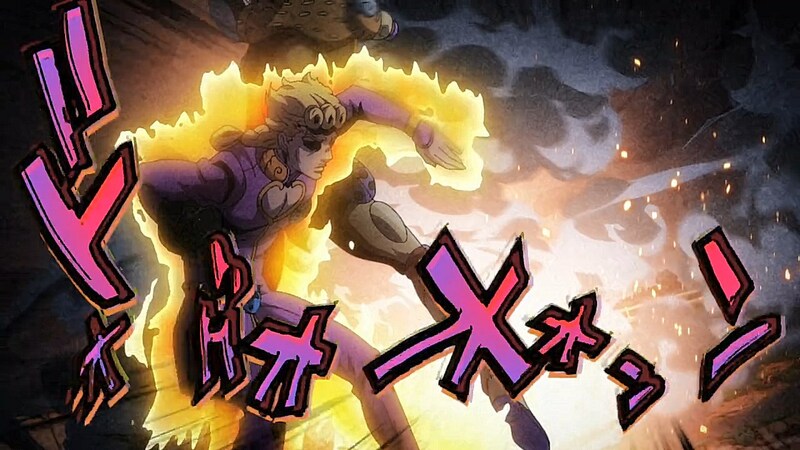 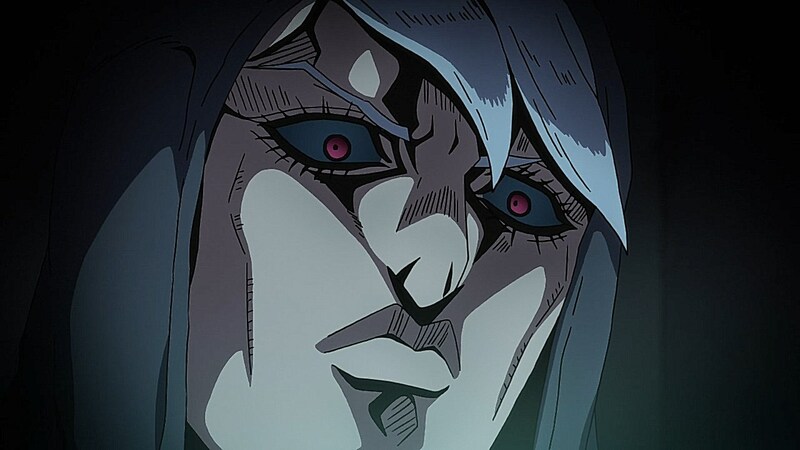 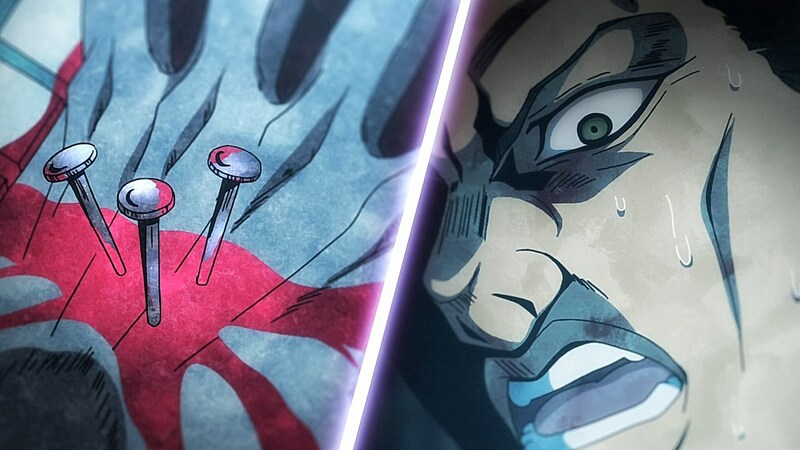 Risotto is significantly horrifying because of his powers’ ability to cause nails to start budding from a Passione member’s hands. 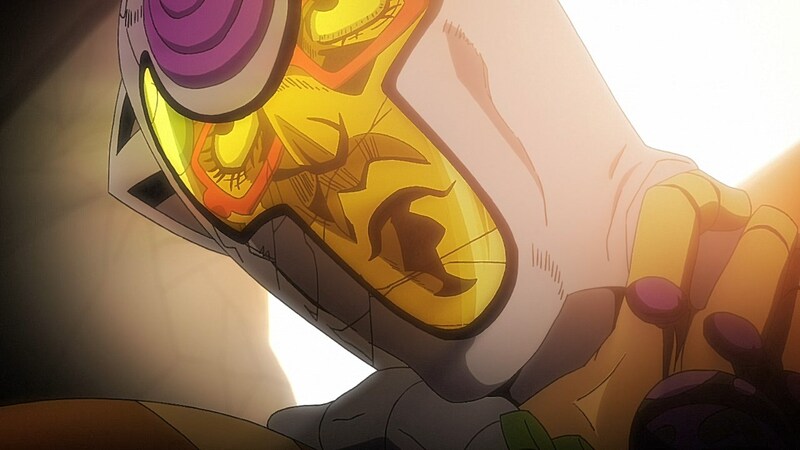 We’ll be in for a fun fight with him at some point soon, but for now, we’ll have to see what approach they take with the White Album fight. 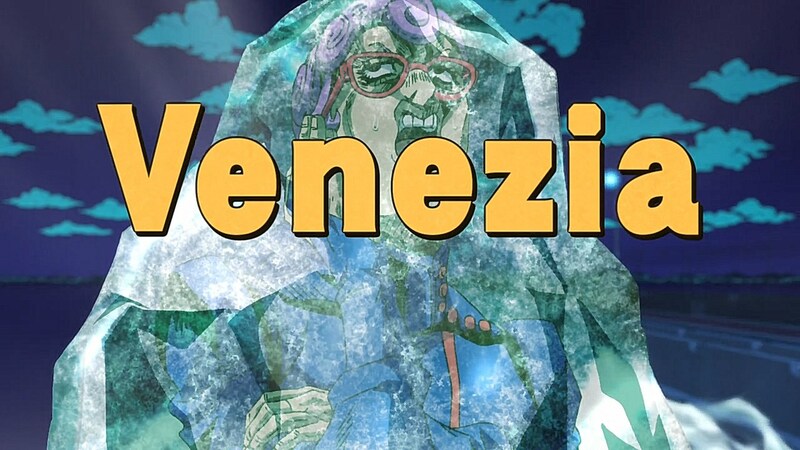 Angry Italian Frozone needs some chill. 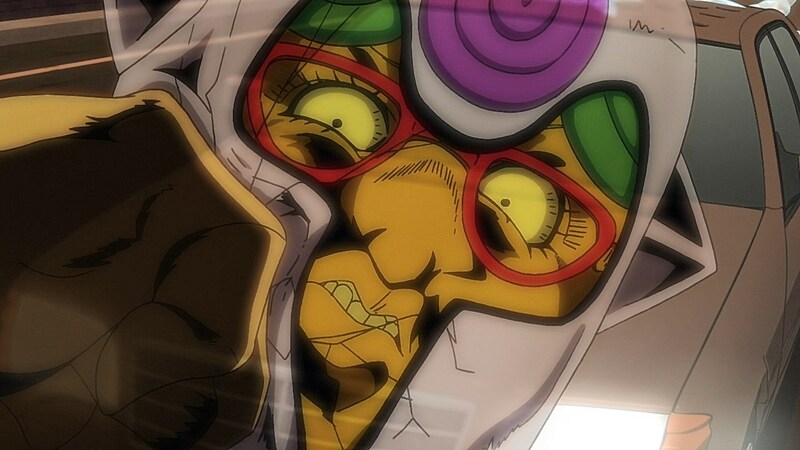 I think they know from the start that Okamoto is the perfect cast for Ghiaccio. 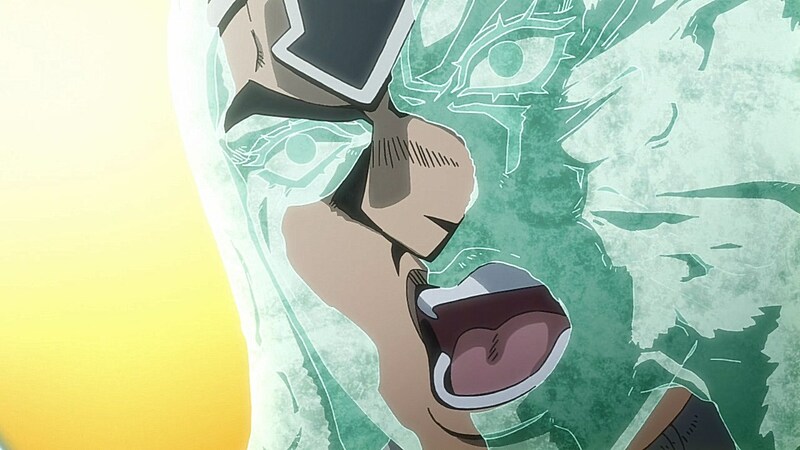 Having a supersuit alone should have satiated Angry Italian Frozone, but the need to correct language discrepancies is the greatest good he has. 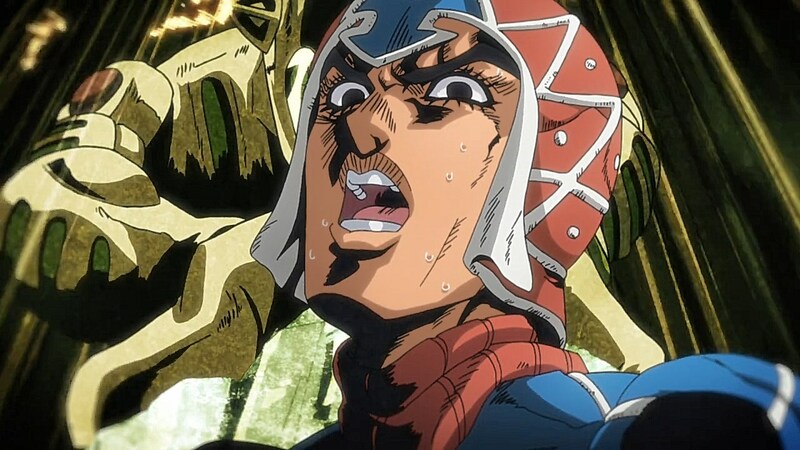 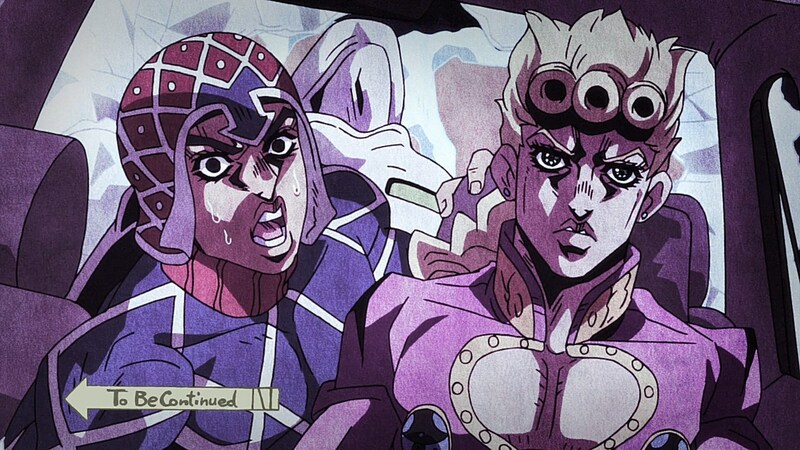 That face when you realize you’re hearing Nobuhiko Okamoto’s signature voice in both Index III and Vento Aureo–in the same season, on the same fricking airing day.